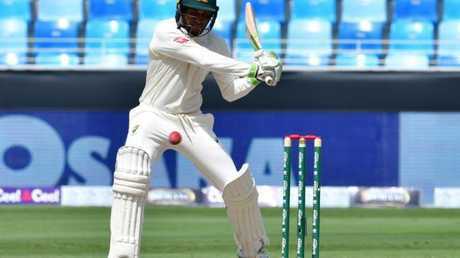 In one of the most thrilling finishes to a Test in recent memory, Australia's second last pairing Tim Paine and Nathan Lyon hung on for the dramatic 13 over final stretch to secure a draw for the ages against Pakistan in Dubai. Paine produced a stunning captain's knock of 61 off 194 and No.10 Lyon stuck around for an unbeaten 5 off 34 as Australia finished 8-362 off a record 140 overs and ensured they go into the second and final Test in Abu Dhabi next week with their belief sky-high. Australia's sporting fabric of playing hard but fair was shattered by the events in South Africa earlier this year. But in their first Test outing since 'Sandpapergate', Justin Langer's new-look side restored pride. 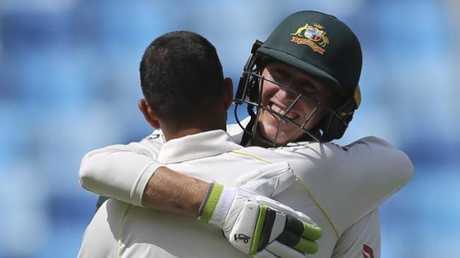 Khawaja's epic 141 off 302 deliveries started out as his maiden ton in Asia, but finished among the best innings ever played by an Australian batsman. Khawaja's nearly 13 hours out in the middle over the course of the match (after making a first innings 85) was truly remarkable given the oppressive conditions and his history of failings in Asia. 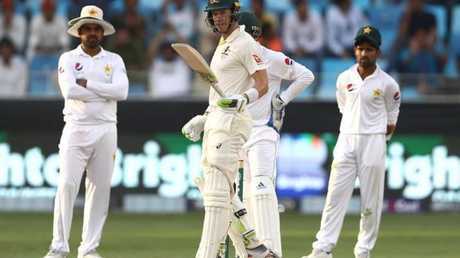 With 15 overs left Australia suddenly emerged as favourites with five wickets at their disposal, but when Khawaja was struck lbw by leg-spinner Yasir Shah immediately after the final drinks break, wind was put back in Pakistan's sails. The catch to remove Starc was purely spectacular - a diving one-handed grab by Babar Azam at bat pad. 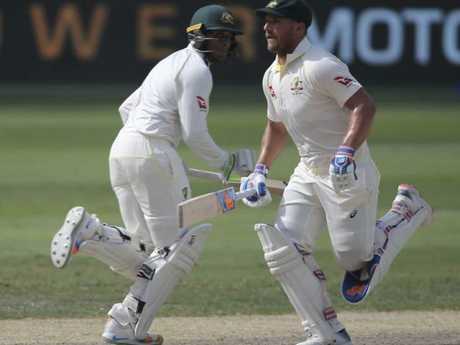 Before this Test, Khawaja had played five previous Tests in Asia for a combined 117 runs, but his breakout performance in Dubai - longer and more fruitful than his entire output prior - acted as further evidence that he could have a new career as an opening batsman. The fact Queensland captain Khawaja, perhaps the most established batsman in the Australian top order wasn't even nominated by his peers for leadership positions within the side announced a fortnight ago was a surprising revelation. 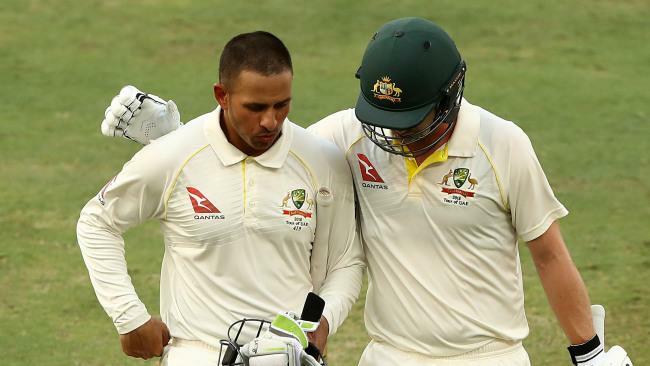 But coach Justin Langer's mandate was for players to stand up and lead regardless of whether they had a title next to their name, and Khawaja has sent a powerful message to teammates with his actions in Dubai.